Join us for Zywave’s Q1 Town Hall! Join Roger Sitkins to learn how you can become the best version of yourself. Learn what challenges employers are facing and how you can strengthen your value proposition. Learn tips for drafting dynamic job descriptions and how to source qualified candidates. Join Zywave as we discuss best practices for sales enablement that drive results to grow your book of business. Learn how you can make your clients' coverage affordable while keeping your business competitive. Learn how to reach your customers, craft content to generate new business, retain existing customers and grow your agency. Learn how to integrate BrokerageBuilder with other third-party systems to help you save time. Learn how you can take your new producer training to the next level to protect your bottom line. Learn how you can use Training360 to help you win new business and retain clients. 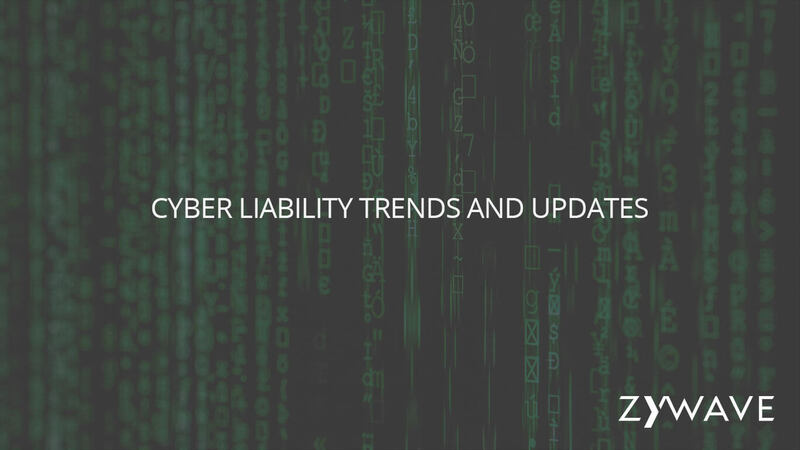 Join us as we discuss trends and updates that are likely to affect the cyber liability market and your clients. Learn how you can use available resources to avoid another costly flu season. Take precautions to protect your bottom line. Join HR360 as we discuss the ins and outs of open enrollment and how you can help clients tackle open enrollment with ease. Join Zywave and Jeff Hill as we discuss how to take your website to the next level and build your book of business. Join Zywave as we provide insight into our broker services survey so you can go into the renewal season prepared. Join HR360 for a discussion on employers' obligations under the federal Fair Labor Standards Act (FLSA) and how you can protect your clients. Join us as we discuss how you can land more meetings with messaging that sets yourself apart. Join HRconnection Passive Enrollment where we will explore the pros and cons of passive enrollment and learn how HRconnection can make open enrollment season a little less stressful for you, your clients and their employees. Your clients have specific responsibilities under the ADA; failure to adhere to these can result in lawsuits and signification penalties. Join Zywave for this webinar presented by Jamie Hawkins and Josh Hoover from Benefit Technology Resources. Join HR360 where we will address the common missteps employers make and how to avoid them, essentially impacting their bottom line and proving your consultative services. As healthcare costs continue to soar, many employers are turning to workplace wellness programs. Join us for a discussion on strategies to help you deliver workplace wellness programs to your clients. Join Zywave for a discussion on strategies to become a healthcare consumerism expert and deliver big cost-savings to your clients. Join Roger as he brings clarity to what is limiting agency growth, a view to a brighter future, and focus to what behaviors and strategies will help keep your bottom line top of mind. Join us in this webinar for an update on the latest developments of the OSHA electronic reporting rule and a brief discussion of what establishments can do to prepare for the upcoming July 1, 2018 reporting deadline. Listen as Zywave's new CEO, Jason Liu responds to Partners' questions and shares his plans for Zywave. Insurance agencies are facing significant disruptions in the industry. Learn what the "Agent of the Future” must do to survive and thrive right now and in the coming years. Learn strategies to identify key loss drivers and cost saving strategies for your clients. See how to protect your current book and win new accounts. Learn how to save costs for employers by using medical and prescription claims analytics that benchmark against Truven norms, and easily display indicators to clients. Leverage technology to get prepared for the future of employee communications. New compliance regulations and employer demands left many brokers scrambling in 2017. These added pressures remain in 2018. Learn how to become a compliance companion. January is the perfect time to grow your P&C agency with new talent using expert recruiting strategies. Learn from the best on how to easily make good on this popular 2018 goal.